Time after time, I have seen free clinics practically advertising "Free Abortions" to young adults that wants to "Get Rid" of their problem. And don't get me wrong, it's the woman's body and she can do what she wants with it including abortions. The one thing however that was alarming to me was Medicaid. For those of you that don't know Medicaid is free health insurance issued by the government, for people that can't afford insurance of their own or have low income. Back in the day I myself use to have Medicaid insurance. And it worked great, Medicaid will cover you in both health and dental procedures. 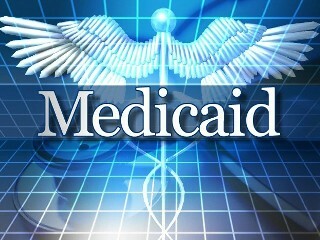 For a person with low income it truly is a blessing to have Medicaid. This insurance to me is wonderful for anyone who needs it except for one thing. The free insurance will quickly and easily pay for an abortion with out a second thought. However if you try to set up an appointment for a fertility doctor, fertility medication or IVF you will have to pay that out of your own pocket. And that's a couple of thousand dollars, which I'm sure if you have Medicaid you can't afford it. But do you know how much it cost for Medicaid to pay for an abortion if you want one ? The price is FREE, that's right completely free for any woman to have an abortion. No matter how many times a month or year it is, Medicaid will keep right on giving away FREE ABORTIONS. Why can't they put that much care in to helping women make a life instead of destroying it ? Is it because the insurance is free therefore they feel that we can't afford to have a child anyway. If the government didn't make it so easy to have an abortion, then maybe women would be a lot more responsible. Procedures like IVF and fertility treatment can be expensive. Some Medicare companies won't even pay for IVF, but everyone pays for abortions. And if your insurance do not cover abortions then you can just get it for free some where else. Too bad there's no baby supermarket around where I can visit and just pick a child out that I want then take it home. The value of life clearly isn't as important as it should be, and hopefully one day that will change. One day free insurance can also cover the creation of life instead of just the removal of life. If you are poor or "low income" and can't afford a basic need (health insurance) for YOURSELF, then you certainly can't afford it--or anything else, like food, shelter, etc--for a CHILD. The government is trying to limit the number of people sponging off us taxpayers, not increase it.. So what ur saying is anyone that has medicaid shouldn't have children because they are poor ? Even though that same "low income" family can be the best parents and rich parent can often be some of the worst parent out there. However because they have Money.... that makes them such a great parent. Money can't buy love or time with a child. And with the statement above what your saying is unborn children shouldn't get a chance at "Life" because their parent has a low income. Sounds a bit unfair to that poor unborn child. sounds like your a spoiled b*tch. just because your "low income" doesn't mean that you don't deserve the chance to be a mother. You shouldn't have to be rich to be a parent. AND ANOTHER THING.... Sometimes there are certain circumstantial events that happen in peoples lives that are uncontrollable, and it puts them into financial hardship where they need the HAND UP, NOT A HAND OUT!! Just because you need the help doesn't mean that your sponging off of tax payers money, because you know what... the "low income people" pay taxes too... and all to often those are the people who get denied the assistance they need. Just because someone doesn't make enough money to be considered "well off" doesn't mean they shouldn't be given the change to make a life! !